I have now read all of Robins books on Nik Efex and what a treasure they are. A step by step explanation of controls and their uses, followed by a demonstration of editing. My photographs have taken on a new lease of life thanks to his books. Well worth it regardless of your level off skill. Money very well spent. Thanks Robin. This book covers Nik Dfine v2. Nik Dfine is a class leading noise reduction application capable of stunning results and is very easy to use with its highly automated interface. But such automation comes at a price and that price is quality. If you want to achieve truly exceptional results, results that this software is capable of delivering, you need to take control. Noise in photography is ugly; it ruins detail and wrecks sharpness but it's also unavoidable. 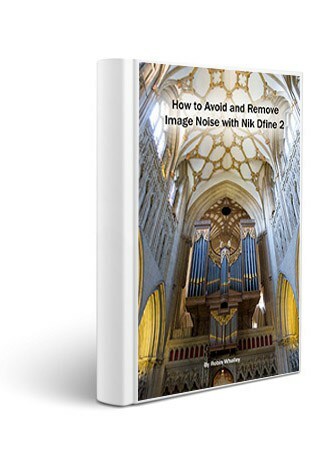 This book explains how to minimise the negative effects of noise and then how to effectively deal with the remaining noise using Nik Dfine. The book is presented in three parts. The worked examples from the book are available for download from the author’s web site as full resolution images enabling you to follow along. This is not a simple how to use software book. It is a comprehensive guide designed to help you achieve noise free professional results quickly. You will be amazed at what can be achieved, even with compact cameras. If you demand excellence from your work then this is a book you need to read.